There is nothing I love better then getting my hubs a little something to let him know I am thinking of him. Sometimes I feel like he is working so hard to be a good dad and husband and I don't always tell him how much I appreciate it. You know it's funny, as your family grows and you get "busy" it's easy to let the things you once did and said with your significant other to fall by the waist side. Being a parent is all consuming and it's not that I don't love it because I truly do but at times it can feel like your relationship is taking a bit of a backseat to the children. I'm sure any parent would agree that it doesn't mean your not happy by any mean's but when the thought does cross your mind it's a good reminder to make sure you try and carve out a little time for you and your loved one. If date night isn't possible then let them know that you care and appreciate them through words and acts of kindness. 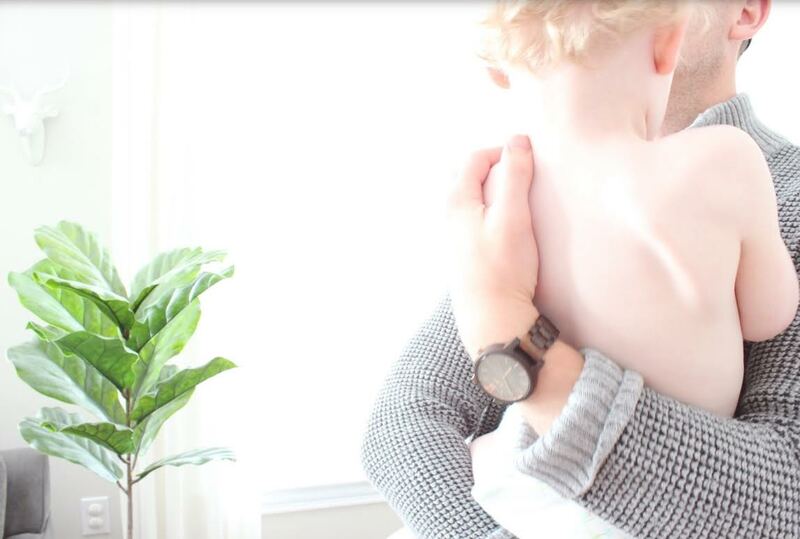 As soon as I saw these beautiful wood watches online I knew that it would be the perfect way to let my husband know I recognize all he does and give him a little something special. Now hey, let's get one thing straight- I by no means think that you can only show appreciation through material gifts however, if you are in the position to get your loved one a little something then I say why not! Moms and dads are usually last on the list to buy things for themselves so it's nice to get a little something, but of course it's not nessicary. 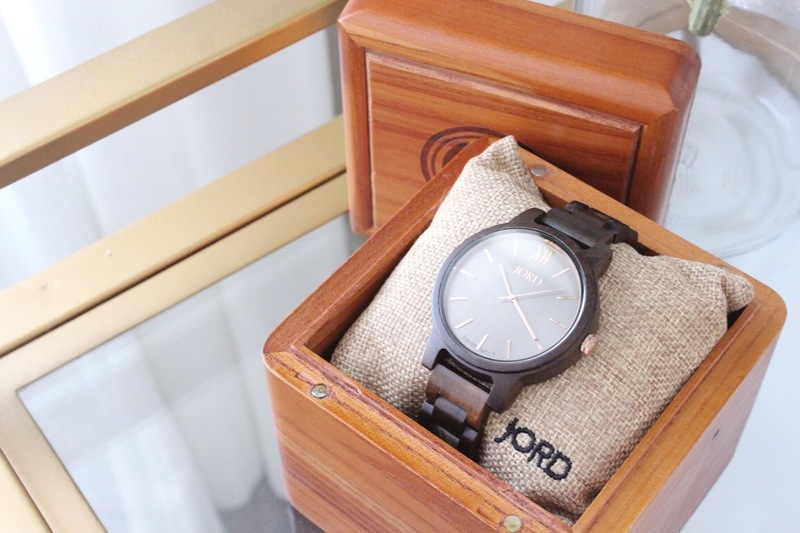 I'm excited to share with you guys that I have teamed up with Jord Wood Watches to give one of you guys $100 dollars off a watch of your choice, however everyone that enters will receive $25 dollars off- the contest runs until July 16th and you can enter HERE! Also this is the exact watch I got for my husband incase you are interested in the same one and they also have a beautiful women's collection. This post was sponsored by Jord Wood Watches but all opinions are my own. Thank you for your continuous support of this blog and the brands I work with.